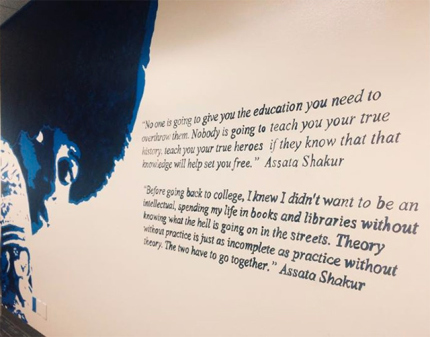 A mural depicting Assata Shakur was removed in May by Marquette University officials after an unrelenting right-wing campaign. Shakur, a people’s hero and icon of the Black Lives Matter movement, is a former Black Panther falsely accused and convicted of killing a cop in New Jersey in 1973. She escaped prison and has been in exile in Cuba for more than 30 years. The U.S. government has a $2 million bounty out on her. Under mass student, faculty and community protest, McAdams, an associate professor of political science, was suspended in 2014 for criticizing a graduate student teaching assistant on his blog for how she handled a discussion of gay marriage in her class. He faces possible termination. Charlie Sykes of the WTMJ radio ­station in Milwaukee, one of the most rabid right-wing media personalities in the United States, helped the campaign to have the mural painted over. Sykes has a daily radio show and a TV program, and edits “Wisconsin Interest,” a magazine from the right-wing Wisconsin Policy Research Institute. 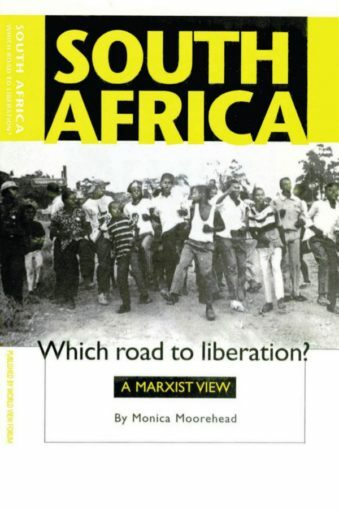 This think tank for decades has participated in the destruction of social safety nets such as Aid to Families with Dependent Children, the public school system, and unions and called for the privatization of public ­services. Dorrington, of course, said nothing about the innumerable photos, statues and memorabilia littering the Marquette campus and Milwaukee generally that glorify real criminals and murderers such as slave owners, those who’ve committed genocide on Native peoples and plundered whole continents, and the bankers and industrialists responsible for the vicious exploitation, oppression, and murder of workers and oppressed peoples. Shortly after the mural was removed, the director of the center, Dr. Susannah Bartlow, either resigned under pressure or was fired. There is now a campaign to have her restored to her position. Supporters can email Dr. Michael Lovell, president of Marquette University, at [email protected] or call 414-288-7714. A petition can be found at ipetitions.com. The Gender and Sexuality Resource Center was built after the university administration rescinded a job offer to Jodi O’Brien, a lesbian professor and noted author of gender and sexuality books. The center offers lesbian, gay, bisexual, transgender, and queer students and allies space where they can seek counseling and resources. It is also designed to address issues of sexual violence on campus. The center, under Dr. Bartlow’s leadership since 2012, has also become an oasis for students of color on the majority white and affluent campus. At a time when every progressive law, every policy, every organization and every resource is under attack by the right wing in Wisconsin, the destruction of the mural must be seen as part of the overall effort by Wall Street and their servants to attempt to smash what’s left of the labor-community movement and to make the state a Jim Crow, low-wage, nonunion, deregulated playground. 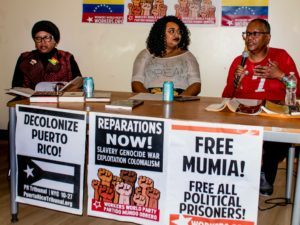 Besides the usual seething racism by right-wing forces against people’s warriors such as Shakur and against all people of color, the mural attack is also an attack on Cuba and the burgeoning youth- and student-led Black Lives Matter movement in Wisconsin. 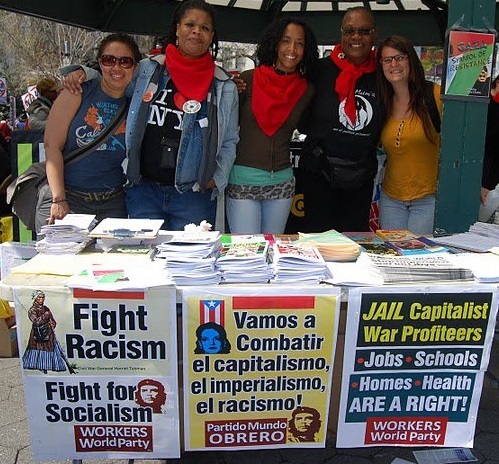 These inspiring forces have been connecting race, class, gender, sexuality and other issues such as the environment and supporting unions. The right wing is also attempting to divide white workers from their direly needed allies.